The Freshdesk edition of Invantive Control is an Excel add-in for Freshdesk. It offers proven real-time reporting to discover trends. It also includes facilities to upload and update data in Freshdesk using Excel and/or SQL. Manage your customer support with Microsoft Excel and Freshdesk The Freshdesk edition of Invantive Control is an Excel add-in for Freshdesk. It's proven real-time reporting software which helps you to rethink and optimize your customer support from within Microsoft Excel. Using formulas, array formulas and blocks of data you easily retrieve information from Freshdesk and you can even upload information from within Excel. Invantive Control provides you with all the functionalities needed to make real-time customer relationship management decisions. With the Excel add-in Invantive Control and Freshdesk you will have all the functionalities you need to control your customer support, calculate KPIs and project your future customer satisfaction in real-time. Customer service in control The FreshDesk Edition of Invantive Control provides you with benefits such as: - Flexibility of Excel by an Excel add-in paired with the data integrity provided by FreshDesk in the cloud. - Download facts from and upload facts to FreshDesk using an Excel add-in. - Real-time customer relations management and business intelligence using formulas, array formulas and data blocks. - Create and execute predictive models such as customer satisfaction, complaint rates, and handling time from within Microsoft Excel. - Design and edit custom reports as spreadsheets based upon FreshDesk. 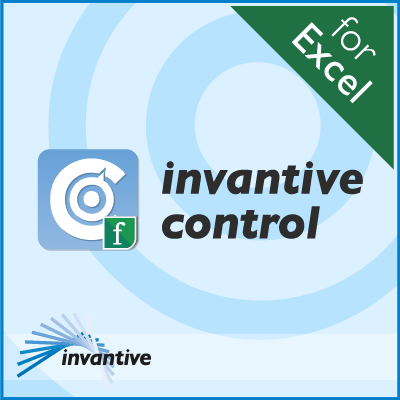 You can download the 30 day free trial version of Invantive Control for Excel by clicking on http://download.invantive.com. This trial version includes all the features of Invantive Control. After installing, follow the instructions. Invantive Control is compatible with Microsoft Office 2010, 2013 and 2016 for Microsoft Windows, both 32 and 64 bit versions. In the YouTube video https://www.youtube.com/watch?v=XFLLdKXtPYw&list=PLzxuao1TbMiZZOih6RvuLaIIGwU-pUUxY&index=1 you can learn how to install and use Invantive Control for Excel. Also, an extensive network of consultants and Invantive itself can provide you with reports and interfaces.